← Izmir ‘boyoz’ .. Pastries arrived from Spain five centuries ago. Cabbage is a vegetable with multiple properties and is recommended by all the experts in nutrition as part of our diet. 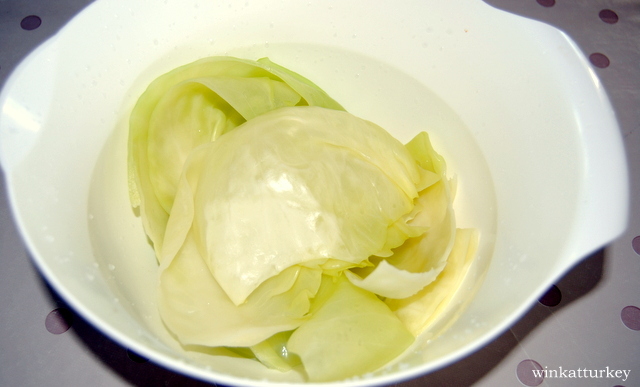 Cabbage also serves to make a wonderful bowel cleansing and noted for its beneficial properties reducing. The cleansing properties of cabbage arise from their chemical composition. 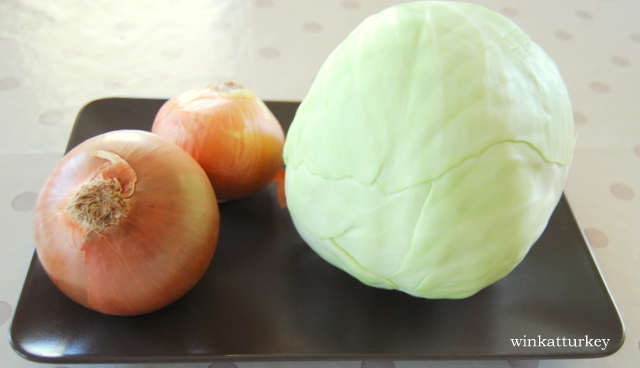 By and large, cabbage is high in Vitamins and minerals, as well as fiber and water. The latter two components are the basis of the cleansing properties of cabbage. You see a food to be considered in our diet. 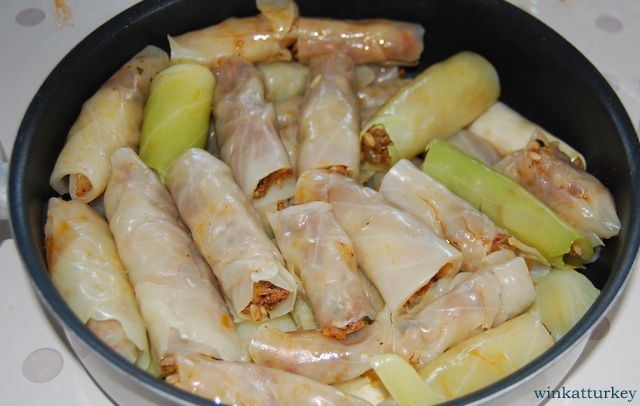 This recipe is a delicious way to eat cabbage. 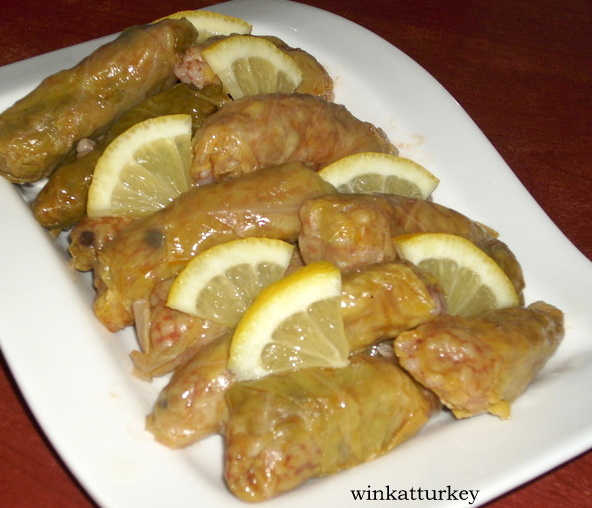 In Turkey all the basic food are vegetables and fruits. In any restaurant in the house never lack una buena salad on some kind of vegetable relleno. 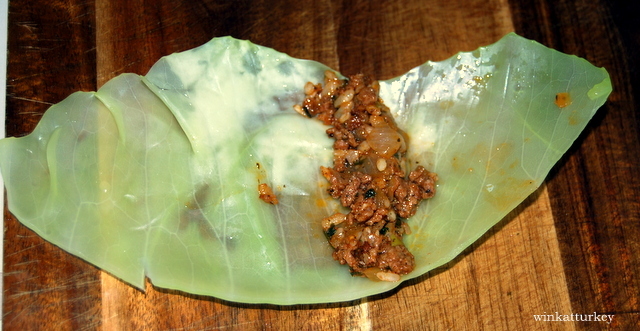 The lahana sarmasi and leaves sarmasi are popular, regular food in any house. I will say that I used to not eat cabbage before, but cooked in this way, has become part of the family diet. Today we cooked at my friend Maria Jose, who also lives in Turkey and is a lover of Turkish cuisine. 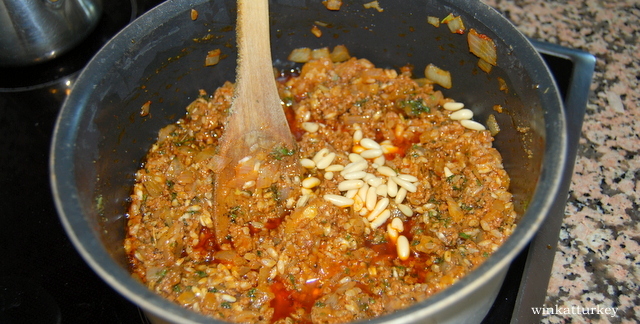 -300 gr minced meat of veal. -Rice, a measure of a glass of rice water. -Domates salçasi concentrated tomato 2 tablespoons. – Spices: Ground cumin, mint, parsley, paprika and ground black pepper. – Salt and olive acite. Put the cabbage to cook in water, We can prtir in half if desired, but will have to go flipping it. 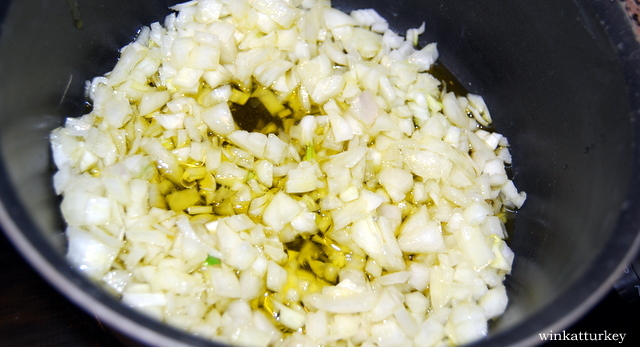 Chop the onion and put to fry in a pan with a splash of olive oil. When you have we caught some color add the 2 tablespoons ketchup concentrado.Vamos doing everything to simmer. Stir everything well and add the ground beef. Move all very well for well blended and slightly browned meat. Now we add the rice, and all spices, The more amount of spices, tastier. You can also take pinions. Removed todo bien, we keep no more than 5 minutes the fire and removed. Going cooking cabbage, the outer leaves will go practically giving off, removing the one to one will. We remove the hard center of the cabbage leaf and started to fill. We extend the blade and put a little of the above mixture, We're wrapping it and placing them in a pan not high. We put the kettle on and when it begins to boil remove from heat. We all rolls back to the fire and we add hot water to cover completely. 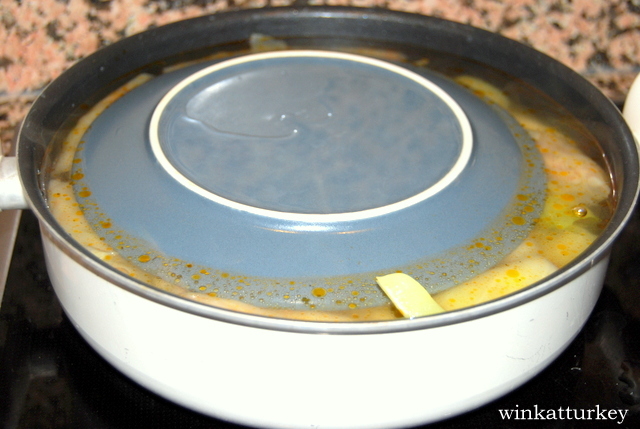 We put a plate on top and then close the pan with lid. Keep on low heat for about 40 minutes. The water has to be evaporated. Ready to eat!! In servirlos, always accompanied by lemon.